Have you been waiting to get a fix of Lyte merch? Well you’re in luck! 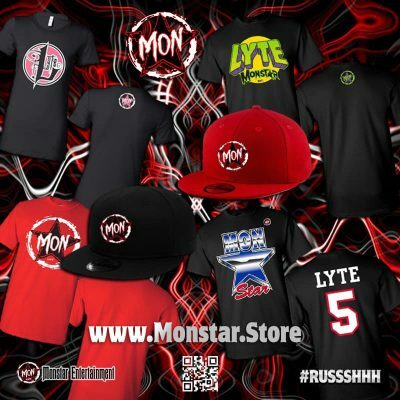 Now you don’t have to wait until his next show to sport a Lyte / Monstar shirt, hat, or beanie! Lyte’s webstore Monstar.store just launched, and it’s got a few goodies available to ship now, with more soon to come! T-shirts and beanies are $24.95, and snapback hats are $26.95.